Make getting up in the morning a whole lot easier with this Brick LED alarm clock. 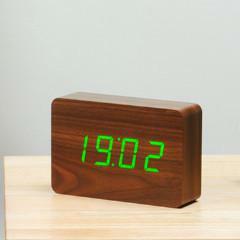 With a bright green LED display and a walnut effect exterior, this is a very stylish clock. It has three alarm settings and a snooze function.